Climbing saltbush is a perennial plant that produces prostrate or twining, either herbaceous or woody stems up to 60cm long. 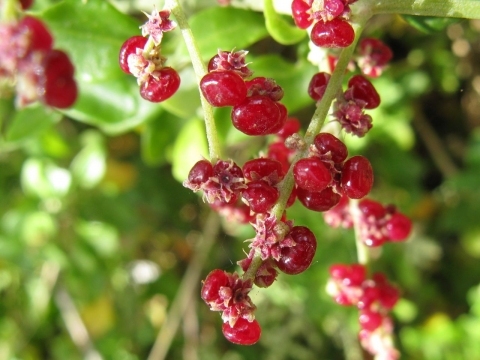 The edible leaves and fruits are sometimes gathered from the wild for local use. Australia - Tasmania and all mainland States. Found mainly in warm temperate to subtropical climates, the plant also grows in the tropics.